This GLOMACS Budget Preparation Skills is a comprehensive training seminar that focuses on the essential skills required to understand the processes of costing and budgeting within organisations. This GLOMACS training seminar is designed to address all the relevant issues concerning cost analysis, budget preparation and performance measurement. 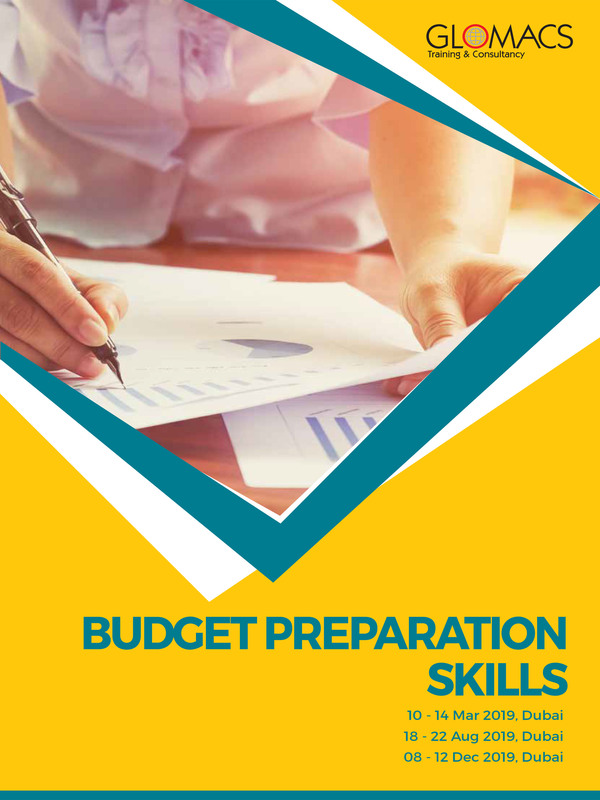 This GLOMACS Budget Preparation Skills training seminar is a must for all professionals who need to master their budgeting skills by learning how costs behave so that realistic business plans can be produced. This GLOMACS Budget Preparation Skills training course will be conducted along workshop principles with formal lectures, case studies and interactive worked examples. Relevant case studies will be provided to illustrate the application of each tool in an operations environment. Each learning point will be reinforced with practical exercises. Difficult mathematical concepts are minimised and handled in a visual way that is easy to understand with examples demonstrated. What is a budget and why costing is fundamental? How to interpret variance analysis? Excellent presentation and direct communication by the Trainer.